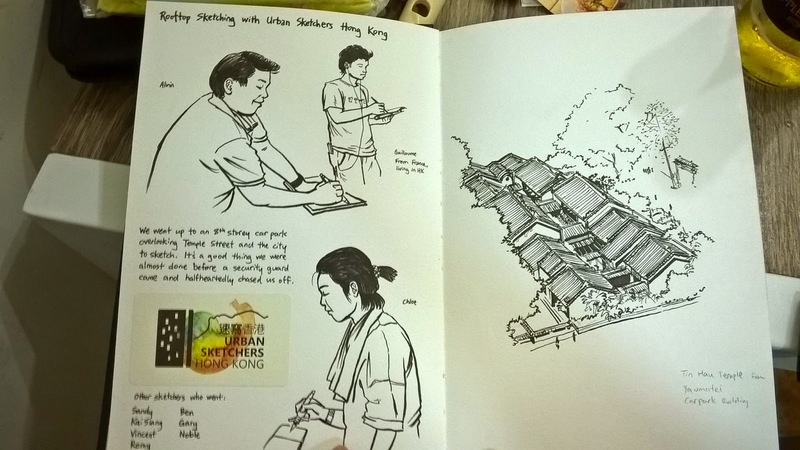 2 urban sketchers from Singapore visited us during the long Easter holidays, (Favian Ee and Kai Siang). 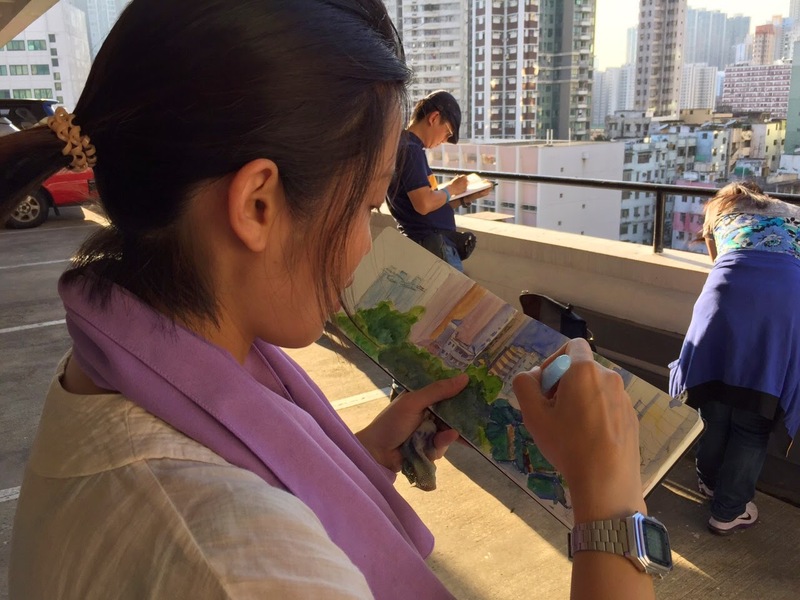 We picked Yau Ma Tei to show our friends. 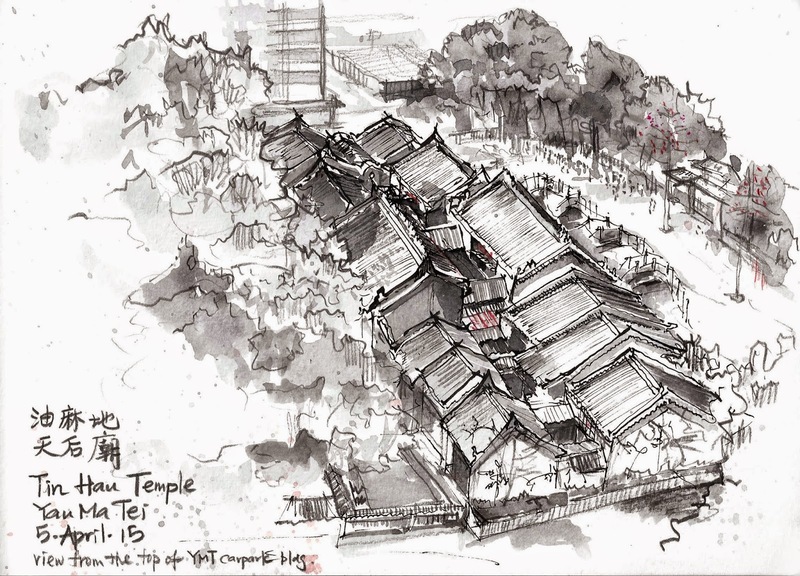 Yau Ma Tei is an old district in Kowloon, we decided to sketch around the Fruit Market in the morning and Tin Hau Temple in the afternoon. 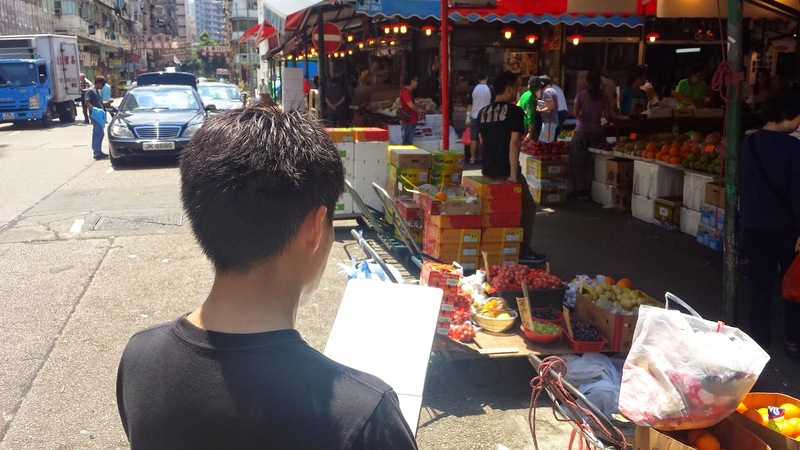 A very sunny and hot day at the Yau Ma Tei Fruit Wholesale Market! 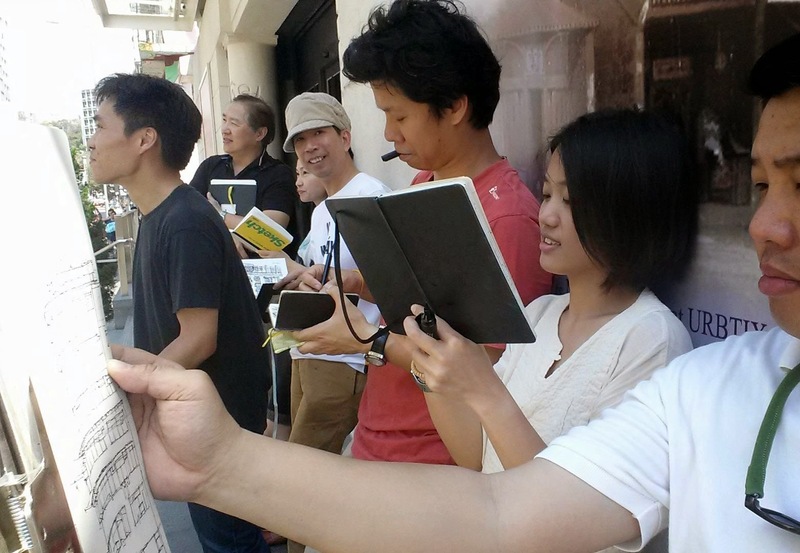 We stood in front of the historic YMT Theatre to sketch the adjacent view. Panorama of the historic facade. 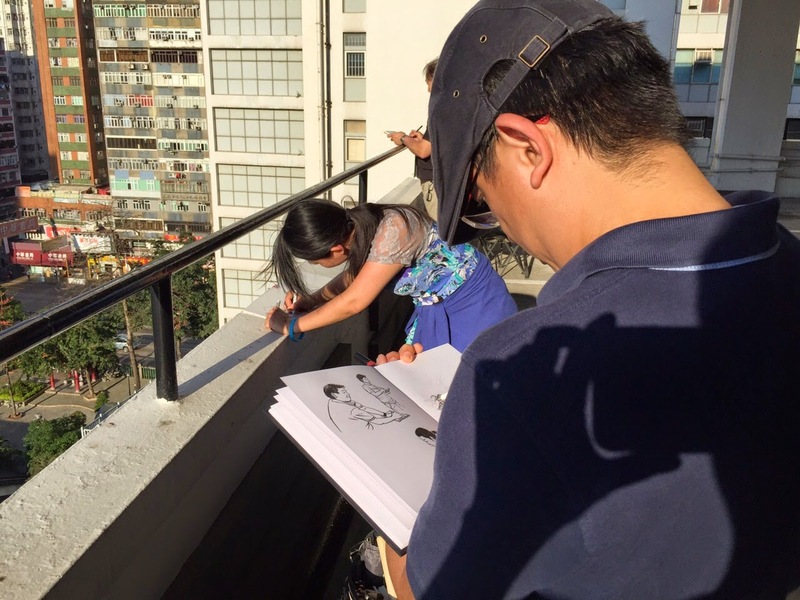 The tree growing on one of the parapets attracts many photographers and sketchers alike. 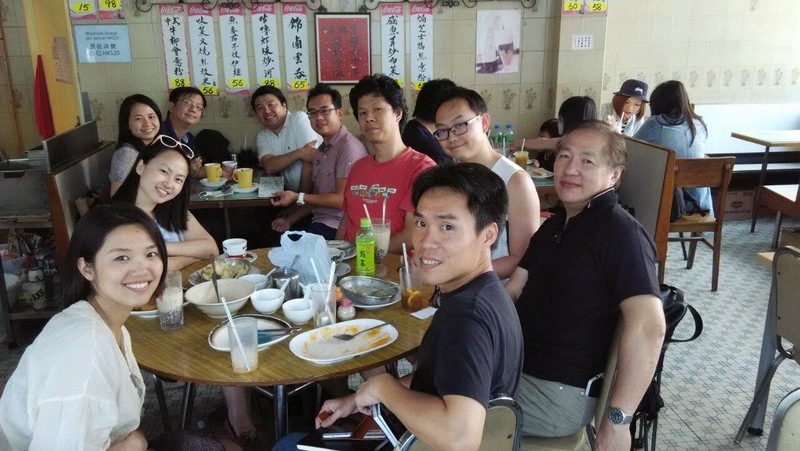 We took our friends to the famous Mido Cafe 金都餐廳 for lunch, which is adjacent to the next sketching location. Gary took us to the top of YMT parking structure, which we were surprised by the panoramic view around. 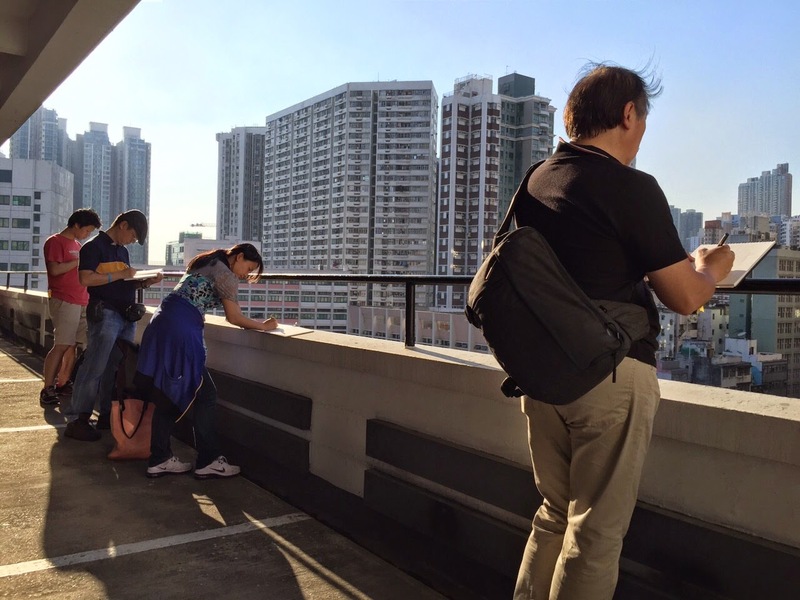 We quickly scattered all over the 8th floor and to starts our view hunting. Favian, Romy, Sandy and Guillaume with their results. As always, Romy can finished so many within a short period. I might love these intricate roofs a bit too much... As often the trick is to find a proper and practical balance between details and feasibility. 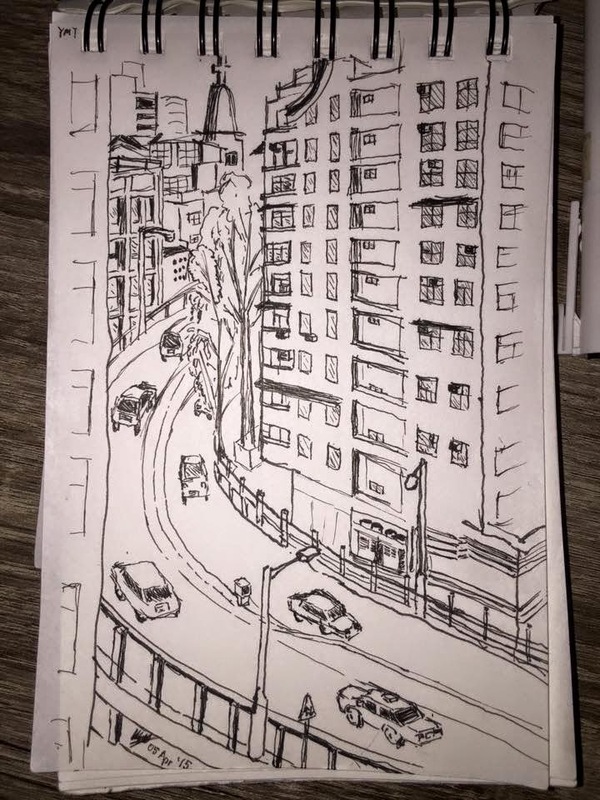 Guess where my approach on this sketch leaned to? 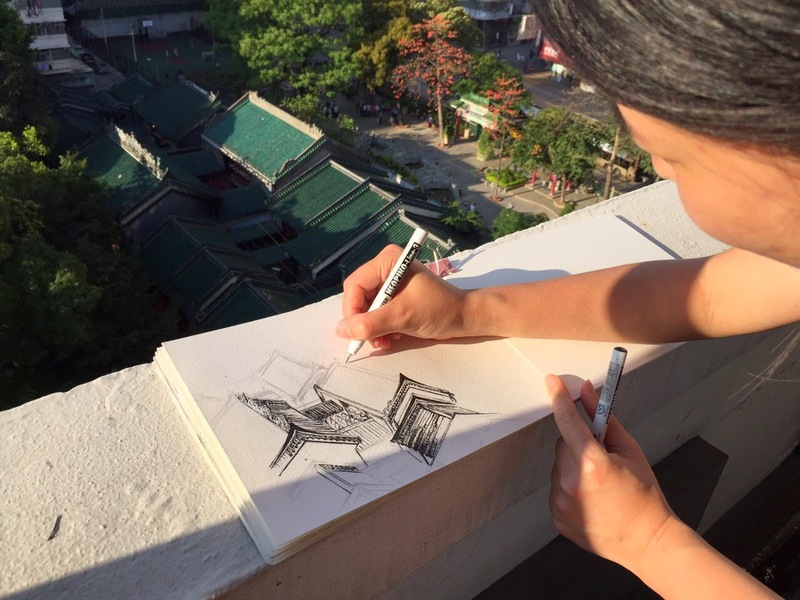 Finally our guest Kai Siang, he chose a curve highway between two buildings. And Favian captured our moment with his beautiful techniques. We look forward to meet with them again soon in Singapore.